The most important literary dispute of the Renaissance pitted those writers of Neo-Latin who favored imitation of Cicero alone, as the single best exemplar of Latin prose, against those who preferred to follow an eclectic array of literary models. 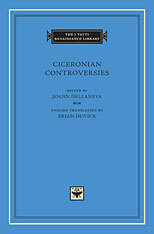 This Ciceronian controversy is the subject of the texts collected for the first time in this volume: exchanges of letters between Angelo Poliziano and Paolo Cortesi; between Gianfrancesco Pico della Mirandola and Pietro Bembo; and between Giovambattista Giraldi Cinzio and his mentor Celio Calcagnini. A postscript by Lilio Gregorio Giraldi and writings by Antonio Possevino comment further on this correspondence. Because they address some of the most fundamental aspects of literary production, these quarrels shed light on similar debates about vernacular literature, which also turned on imitation and the role of the author. 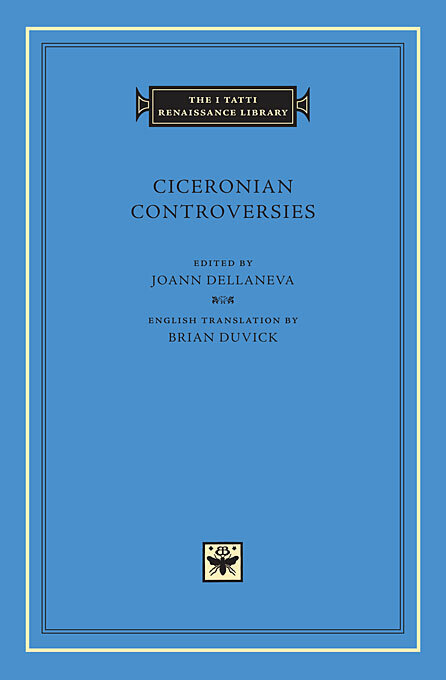 The Ciceronian controversy can also be seen as part of larger cultural movements, such as the choice of vernacular language over Latin, the development of Jesuit pedagogy, and the religious conflicts that characterized much of the Renaissance.